Posted on February 6, 2017 by Philip O'Hanlon. I have always been drawn to the early chamber music of the great composers, such as Beethoven & Mozart and have a soft spot for their piano trios. 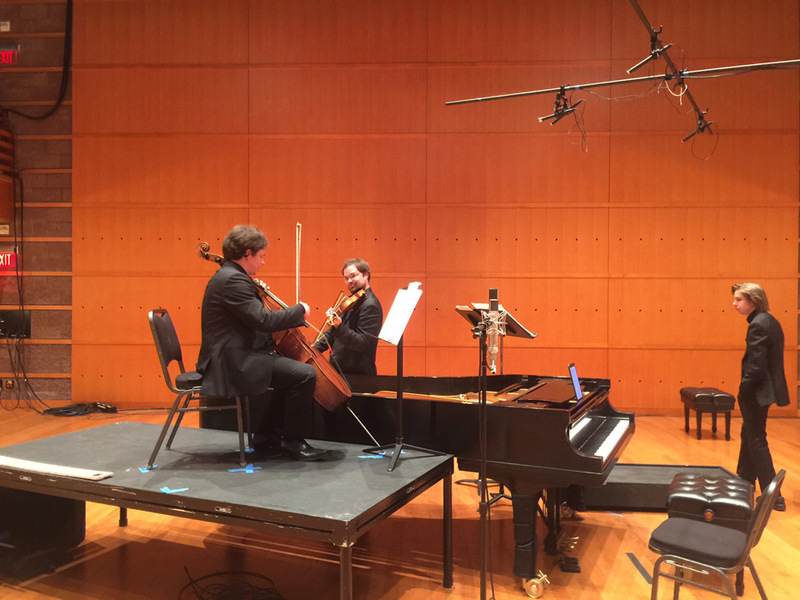 Imagine my delight in sitting in on a recording at the Orange County Performing Arts Centre as a guest of Yarlung Records who were recording the Sibelius Piano Trio playing Sibelius’ early chamber works in DSD256 on a Merging+ Horus. While Sibelius’s reputation rests almost wholly on his orchestral output of tone poems and symphonies, in his youth he honed his craft on chamber music; his string quartets are known but the piano trios predate them—some of which have not been published yet. In 1881, he started to take violin lessons from the local bandmaster—Gustaf Levander—and immediately developed a strong affection for the instrument. The same year, Sibelius (aged 16) and his siblings formed a trio in which his elder sister Linda played the piano, younger brother Christian the cello and Janne the violin. Their mother played the harmonium with the children. “We played together; Janne played the violin, Kitti the cello, mother the piano or the harmonium. Janne composed for piano and violin at a fairly early age, and I had to accompany him from the notes he had written down, which was not easy,” Linda Sibelius later recalled. The first mention of a composition can be found in a letter Sibelius wrote from Kalalahti, dated 25th August 1883. He disclosed that he had composed one trio and was working on another. “They are rather poor, but it is nice to have something to do on rainy days,” he wrote. In February 1884, Janne got hold of Johann Christian Lobe’s work Lehrbuch der musikalischen Composition, which he called Compositionslehre in a letter to Uncle Pehr (his musical mentor). These early works must be seen against their background: the music is astonishingly good considering that it was written by a teenager who, apart from a few piano and violin lessons, had received little formal instruction and who had studied musical theory on his own with the help of a couple of books. Music making is still alive and strong in Europe today, where families place a high value on their own ability to perform and not just consume. And yet, the music exhibits all of the joie de vivre that one finds in early Beethoven, such as the Piano Trio No. 2, Opus 1. His was a natural talent, unencumbered by too much musical education, allowing him the freedom to experiment and innovate. In Piano Trio in D Major, JS209 Korpo, the gorgeous melodies are in the romantic vein, much as in his later symphonic compositions. But he was free to roam with musical expressions which he does to great effect in Nene, which truly sounds like music from another century. While not as “out there” as Bartok, it’s nonetheless rhythmic and energetically propelled. It’s interesting in that you can’t guess where the melody will lead to next. Here is great music that deserves an audition. It might take a few listens to fully grasp and familiarize yourself with, but I can assure you that this will be time well spent and may provide a wonderful, quieter moment soundtrack to the rest of your life. Sound quality is superb—in fact breath-taking in DSD256—you owe it to yourself to try and catch a live performance. This entry was posted in Philip's Musings. Bookmark the permalink. Philip, thank you kindly for this warm blog article. This was a fabulous recording session and concert, and we are delighted you so generously agreed to be our DSD executive producer. (I must say, you chose a good one!) 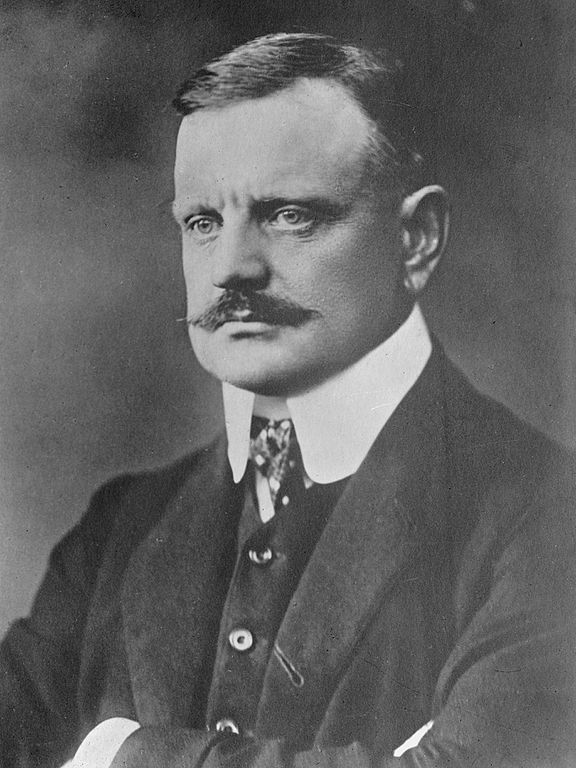 I also want to thank you for your insights into the early life of Sibelius. Much of my “astonishingly erudite” commentary in the liner notes came from an early conversation with you.